One of the greatest legacies we can leave in the world is the gift of an education. We here at Holy Cross believe that every family who desires a Catholic Education for their child should have the opportunity to receive it. We believe that Catholic Education should not just be for the affluent. This gift should be possible for the middle class and those in poverty. Over the years we have seen the cost of Catholic Education become exceptionally difficult for families as total household incomes are unable to keep pace with rising tuition costs but we stand faithful to our commitment to serve all. The Guardian Society is a group of dedicated givers who surround Holy Cross’ most vulnerable students to enable them to have the gift of a Catholic Education. This society commits to a giving level of $1000-$5000 annually to leave a legacy of support to future students and families. 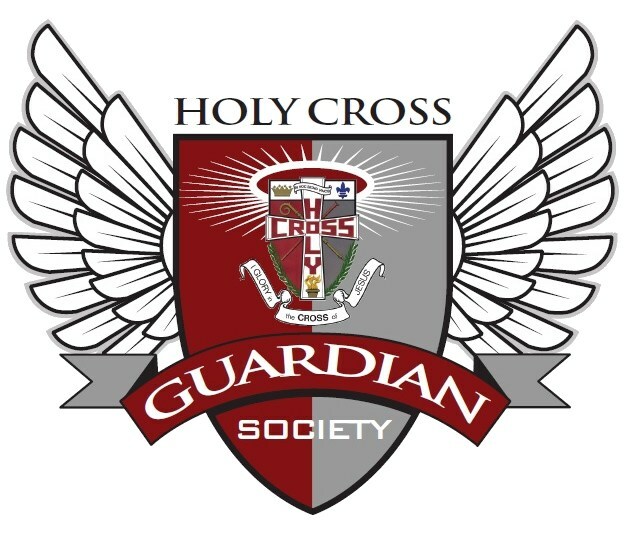 Guardian Society donors are the cornerstone of Holy Cross' success, providing the means by which we can carry out our mission of educating women and men in service to others. Contributions to the Guardian Society can be made all at once or monthly. Click HERE to make your contribution to the Guardian Society today.